Zara is a store I can always find something in. 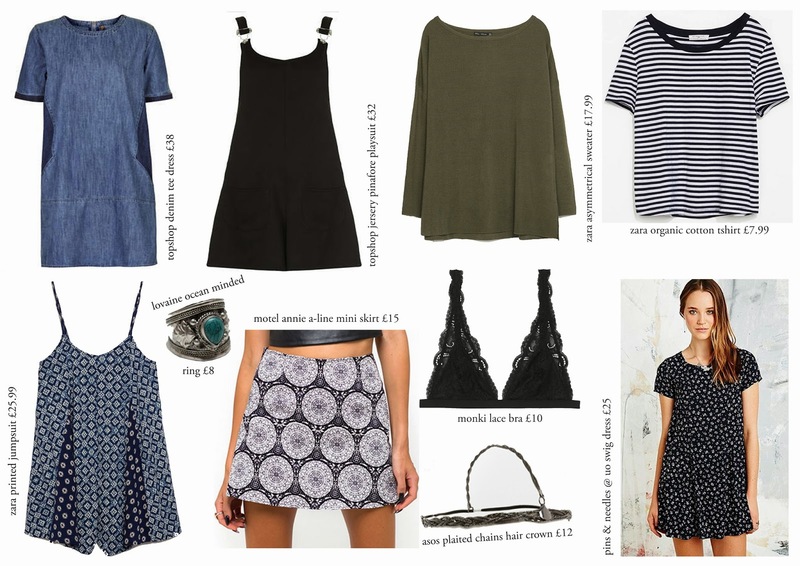 Their clothes are so reasonably priced and for the most, well-made, so it's no surprise I'm featuring a few bits from the brand on this wishlist. 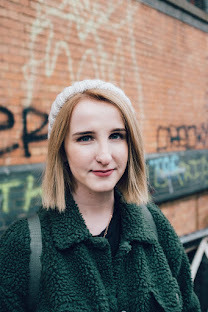 You can never go wrong with stripes (see my recent ootd here) and although we've been having a load of sun recently, Britain is known for it's unpredictable weather, so a light sweater is always a wardrobe necessity. Finally I've been wanting to stock up on a few more dresses and playsuits, and this printed offering fits the bill perfectly. I don't actually own any pieces from Motel, but I absolutely love this bold print mini skirt, as again, my wardrobe has a sure shortage of skirts. At only £15, it's a total bargain and something I think I'm going to have to add to my collection. I also recently discovered a new brand called Lovaine, who sell the most beautiful jewellery and delicates. Although everything on the website is awesome, I particularly like the Ocean Minded ring, inspired by bohemian style. Each product is so reasonably priced, so I'd definitely recommend checking the brand out for yourself. Finally a lace bra from Monki, 'cos everyone needs a good bra. I love the shape of this one, and the lack of wiring means it'd no doubt get a thumbs up for the comfort factor. Win win. What fashion bits have been tickling your fancy recently? Anything I need to add to my wishlist? Lovely picks! Especially love that motel skirt.